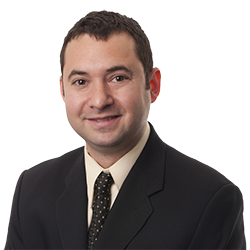 Noah G. Lipschultz | Littler Mendelson P.C. Noah G. Lipschultz focuses on representing employers in a variety of labor and employment matters, including both traditional labor law matters, as well as employment litigation and counseling, and wage/hour matters. He also represents employers in employee benefits litigation matters arising under the Employee Retirement Income Security Act, including matters pertaining to retiree health benefits and the enforcement of ERISA plan subrogation/reimbursement rights. Prior to joining Littler Mendelson, Noah spent five years as an associate with another firm in Chicago. Must a Participant Be “Made Whole” Before a Plan May Exercise Its Right to Reimbursement?